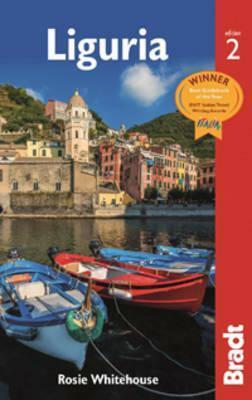 Bradt s Liguria is the only in-depth guide to this much-loved mountainous and coastal region of northwest Italy. Visitors have long flocked to the azure waters east of Genoa, to glitzy Portofino, but the Bradt guide also takes you to the area west of Genoa and to the hinterland. Unlike other guides which feature the region as part of broader coverage, Bradt s Liguria includes a detailed description of the mountains and their hilltop villages and is designed to be of use whether you re visiting the popular resorts or heading off the beaten track for a taste of the real Italy. Walking and cycling routes for all abilities are suggested, as is the growth of the Slow Food movement in the region, and this new edition includes more details of the developing fashionable side of Genoa as well as dozens of new hotel and restaurant listings. There is also expanded coverage of Levanto, crafted to show you how to enjoy the best of the Cinque Terre without the crowds."